Or, if you are fearful of hacking, you can request the conversion of your token into an air-gapped hardcopy printed code, which is mailed to you by registered mail. Request redemption of your coin at any time. 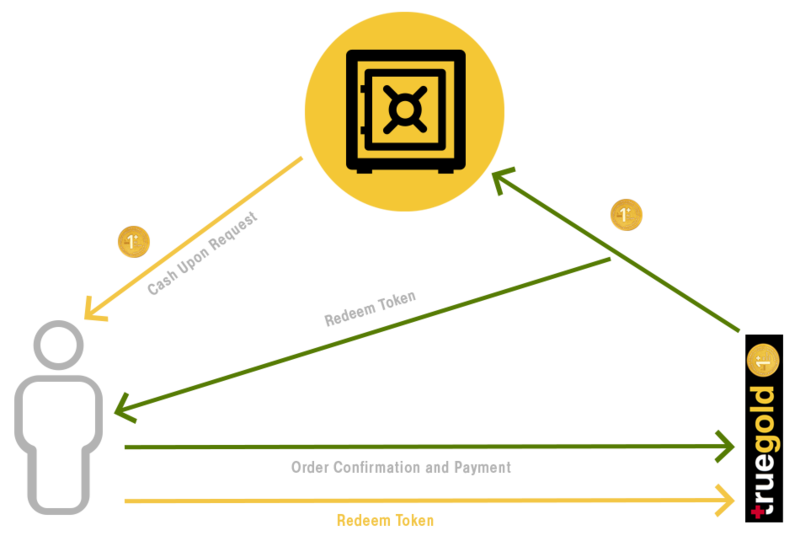 Simply notify us, and upon presentation of the token, you can pick-up your coin in Geneva free of charge, or we will deliver your coin to you via secured courier at your expense, after which your token expires. Request redemption of your coin and sell it back to us. Upon presentation of the token, we will remove your coin from storage and purchase it from you for 105% of the gold price at the day of sale. The funds will be transferred to you, your token expires. Transfer the token freely to any third party, be it as a gift, or as part of a sale.